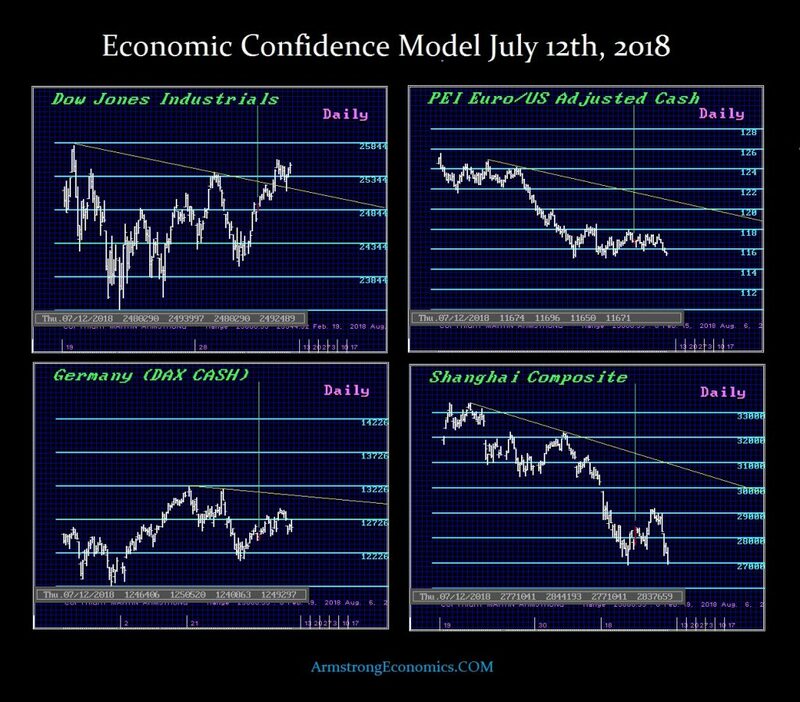 / ECM & the Cycle Inversion? 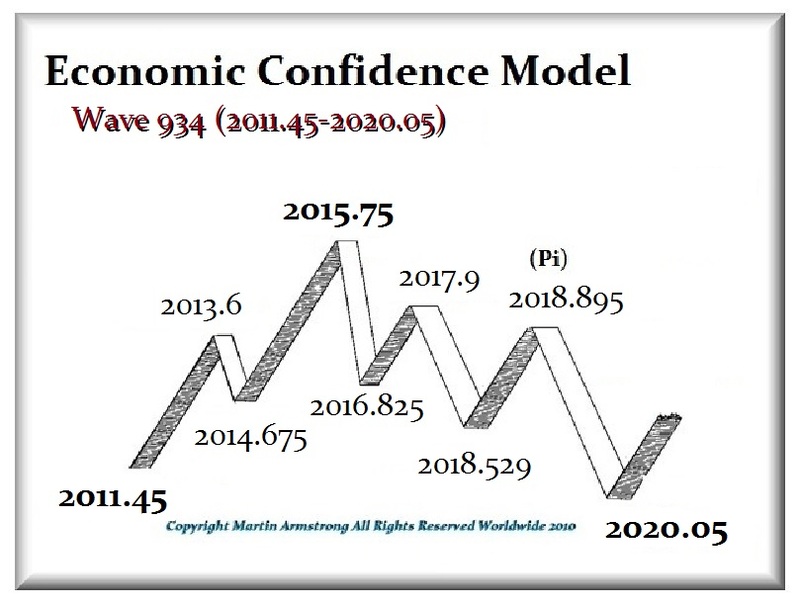 The Economic Confidence Model (ECM) is a global business cycle. The entire world economy NEVER peaks and bottoms together. This latest turning point of July 12th, 2018 (2018.529) has apparently provided a MAJOR warning that we just could be moving into a major Cycle Inversion from the perspective of the United States. What does that mean? It means that the USA may be moving into a serious high in 2020 against a backdrop of a decline for the world insofar as liquid assets (non-fixed). The China share market has just lost its status as king of the mountain in Asia as Japan has once again reclaimed that lofty position from a value perspective. 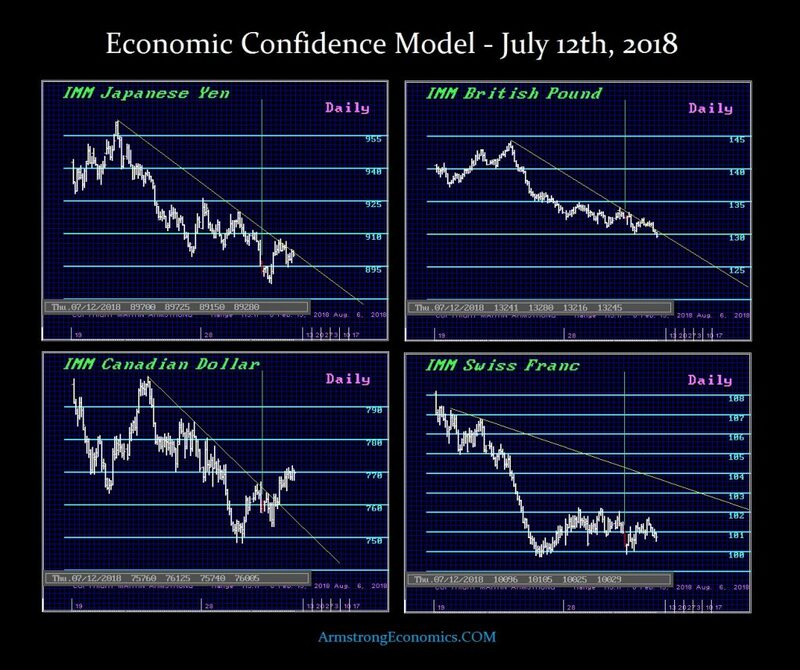 The ONLY markets, currency and economy moving against this global bearish trend into 2020 has been the United States. 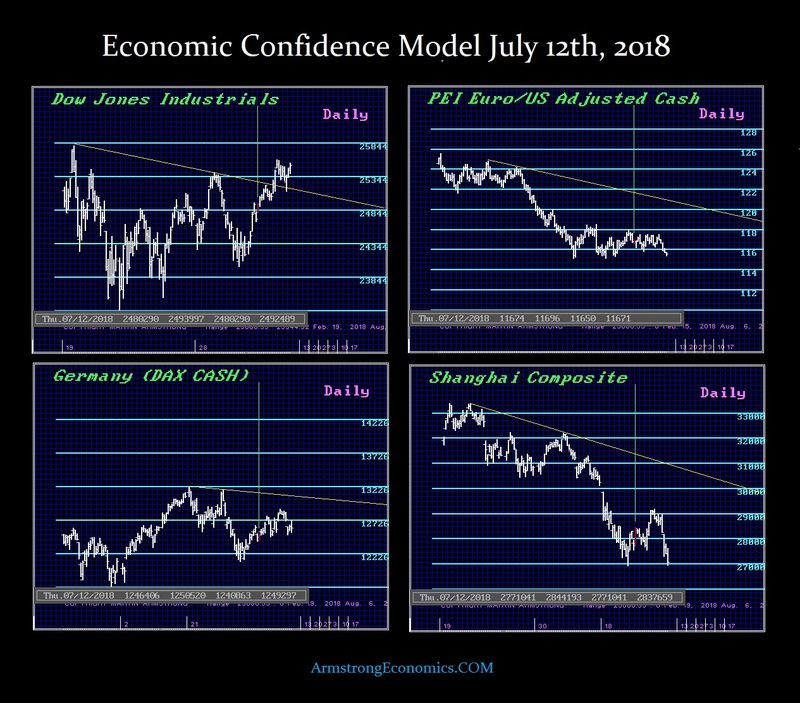 The Dow Jones Industrial Index broke out above the simple Downtrend Line, whereas we do not see this in Europe or Asia. When we look at the array of world currencies, it is hard to mistake the fact that the dollar is rising. The ONLY other currency to benefit has been Canada. This is reflecting a shift in global capital flows to North America. Canada has been to some extent benefited by its proximity to the United States and has offered some diversification for European and Asian capital outflows. 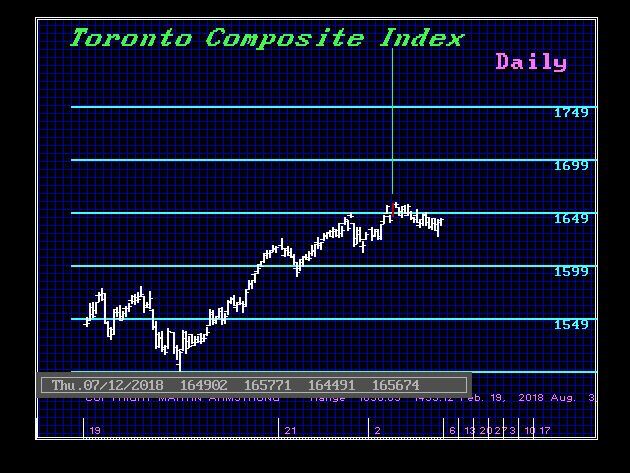 When we look at the Canadian share market index (TSE), we can see that the July 12th turning point produced the highest closing during July. By the time we reach the World Economic Conference in Orlando on November 16-17, 2018 (Friday & Saturday), we will be approaching the Pi turning point on November 22/23rd, 2018 the next week. Besides the US mid-term elections, we are facing a very critical people in Europe. November is lining up to be an important turning point in the currencies. This is shaping up to ensure that the Orlando WEC event will be a hot topic this year and we hope to strategically set the stage for the balance of the ECM wave from there onward into 2020.